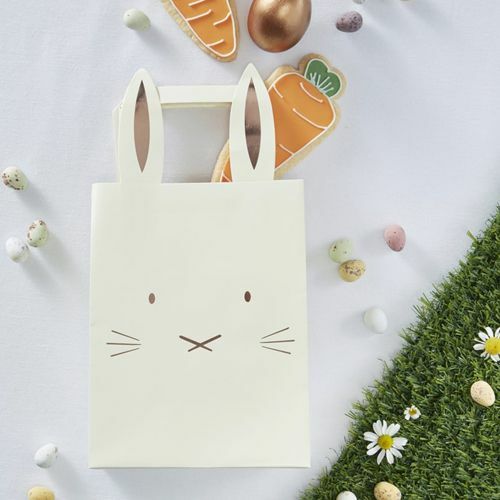 Why not use these cute bunny inspired party bags for that all-important Easter egg hunt! Or if you are holding a party, then these could just be the gift bags for all your guests. The bags come in a beautiful pale yellow, plush pink and green where they all feature a rose gold bunny face and ears. Each pack comes with 5 party bags measuring 29cm (H), 15cm (W) and 9cm (D).